of downtown Tuscaloosa. This was the beginning of the history of Tuscaloosa. The 'Black Warrior Village' has been in existence as early as 1580, although it was abandoned at times. The village was unoccupied circa 1750-1760 according to several historical sources. The primary native tribes of the area were the Choctaw and Creeks. The Creeks resettled the old village around 1800. By order of General Andrew Jackson, General Coffee and his men attacked the Creek village in 1813 during the Creek War. The village was burned as retaliation to the kidnapping of a Mrs. Crowley at Duck River, Tennessee, leaving few Creeks in the area. After the Creek War any remaining Creeks were removed to land in eastern Alabama west of the Coosa River. The Choctaw Indians removed to lands west of Tuscaloosa, although some remained in the area. By 1836 President Andrew Jackson had decided that all Indians must be moved to the Indian Territory, a move which we all know as the 'Trail of Tears'. According to several sources, the first permanent white settler of the Black Warrior Village was Thomas York, and family, who came to the area in early 1816. By late 1816 several families were in the area. The county seat was established in the town of Tuscaloosa, which was incorporated 13 December, 1819 from the 'Black Warrior Village'. Tuscaloosa was 'laid out' by Collin Finnell in early 1821 for the government. Lots were sold at auction in November 1821. The initial delay in laying out Tuscaloosa by the government caused another town to be established, known as New Town. The county seat was moved to nearby New Town in 1822. 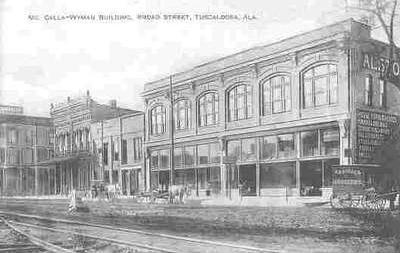 New Town had been established just west of the city of Tuscaloosa on 20 December, 1820. New Town arose from a land grant given to William Ely, who was appointed agent to sell the land for the benefit of an asylum in Connecticut. In 1821 Ely sold the land to a group of men who set aside a part of the land that set south of the Black Warrior River as a 'new town'. The town was laid out by Collin Finnell as well. Soon after the county seat moved back to Tuscaloosa. When Tuscaloosa became state capitol in 1826, New Town became part of Tuscaloosa. In the 1840's a tornado destroyed many of the original structures. 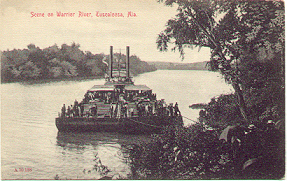 Tuscaloosa became a busy river port, as the town was situated at the highest point river traffic could navigated to from Mobile. A growing Tuscaloosa was chosen in 1825 as a replacement to the state capitol at Cahaba. The new state capitol building was designed by W.M. Nichols in 1826. All materials for the building were local. The first session of the legislature was held there in 1829. Tuscaloosa served as the home for the state government from 1826 until 1846. As the eastern section of the state grew, legislators decided to move the capitol to the middle of the state at Montgomery on the Alabama River. The loss of the capital caused Tuscaloosa to lose over half of its population after 1846. 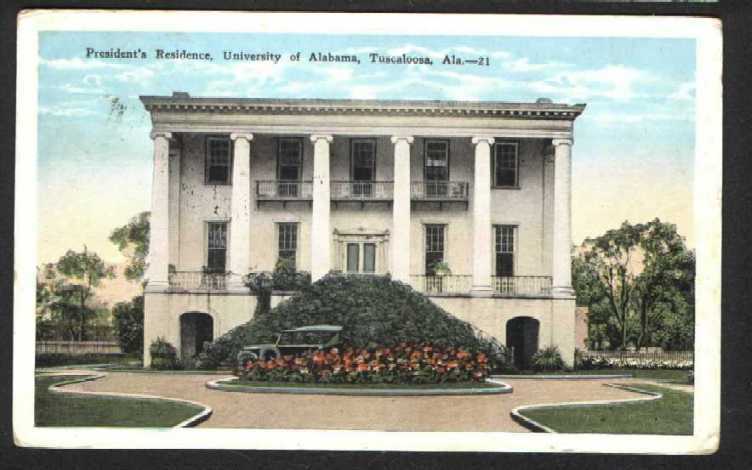 In 1827 the state university was established at Tuscaloosa. 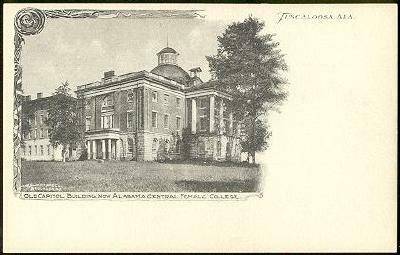 On 18 April 1831 the University of Alabama began operations and enrolled 52 students. In 1860 the University of Alabama became a military university. In 1865 Union troops known as Croxton's Raiders burned all but four of the University's buildings.